Lladro figurine, Together Forever. Size: 8.5 x 4". Bride and Groom on their wedding day. The grooms arm gently holds his bride as they both gaze the bride's new ring. They will be together forever! 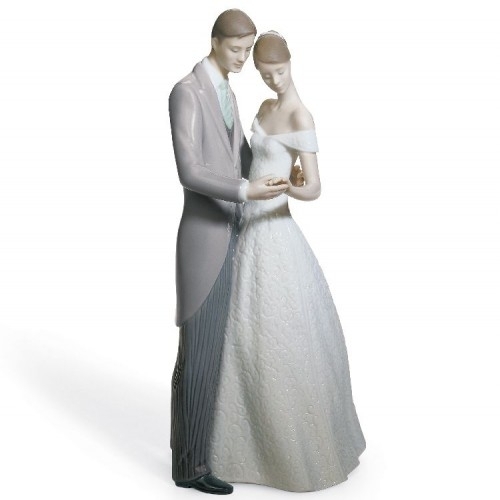 This Lladro piece makes a beautiful cake topper or wedding gift.